Vancouver, BC — (January 17, 2012) Regent College is pleased to announce that Bruce Hindmarsh, the James M. Houston Professor of Spiritual Theology at Regent College, has been appointed as the incoming President of the American Society of Church History. 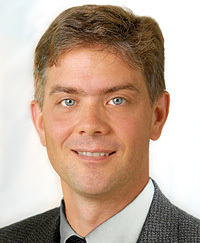 An alumnus of Regent College, Bruce Hindmarsh took his DPhil degree at Oxford University in 1993. From 1995 to 1997, he was also a research fellow at Christ Church, Oxford. He has since published and spoken widely to international audiences on the history of early British evangelicalism. His articles have appeared in respected academic journals such as Church History and the Journal of Ecclesiastical History, and he is the author of two major books of his own: John Newton and the English Evangelical Tradition (Oxford University Press, 1996) and The Evangelical Conversion Narrative (Oxford University Press, 2005). Dr. Hindmarsh has received numerous teaching awards, research grants, and fellowships. A recipient of multiple grants from the Social Sciences and Humanities Research Council of Canada, he has also been a Mayers Research Fellow at the Huntington Library and a holder of the Henry Luce III Theological Fellowship. He gave the fifth annual Manchester Wesley Research Centre Lecture on art and religion in the eighteenth century in 2009, and has completed a project for the Huntington Library Quarterly on religious letter-writing in the same period. He is presently engaged in a book-length research project on early evangelical spirituality. An active lay member of the Anglican Church, he is married to Carolyn, and they have three children: Bethany, Matthew, and Sam.